The podcast, a re-imagination of the New York Times Magazine’s longtime “The Ethicist” column, features Bloom and two other ethicists answering questions for a half-hour. NYT Magazine Editor-in-Chief and Wesleyan alumnus Jake Silverstein ’98 invited Bloom to participate in the show. The other panelists are Politico media columnist Jack Shafer and New York School of Law constitutional law professor Kenji Yoshino. The first episode, titled “Close Quarters: Can I ask my neighbors to quiet their baby?” debuted Feb. 18 and is produced in partnership with Slate. Read an edited and condensed version of the podcast online here. “Future topics will be, we hope, a wide range of ethical quandaries,” Bloom said. Read more about the podcast launch in this Poynter.org article or download the podcast through iTunes. 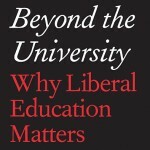 The president of Wesleyan University describes two distinct traditions of a liberal education–one philosophical and “skeptical,” the other rhetorical and “reverential”–and argues that both are necessary for educating autonomous individuals who can also participate with others. 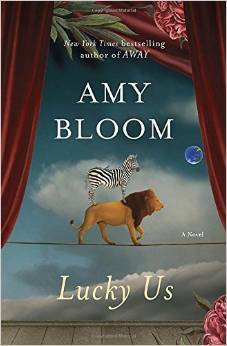 Two other members of the Wesleyan community were honored in the Post‘s “Top 50 Fiction Books for 2014.” The list included Lucky Us by Amy Bloom, distinguished university writer-in-residence and director of the Shapiro Center for Creative Writing, and Love and Treasure by Ayelet Waldman ’86. This semester, the Shapiro Creative Writing Center is hosting three master classes taught by award-winning author and poet C.D. Wright. Master classes are open to all poetry-writing upperclassmen free of charge. Each class will last 2.5 hours and include one dinner. The classes will meet Sept. 23, Oct. 14 and Nov. 11, and the deadline to apply is Sept. 12. Wright is currently the I.J. Kapstein Professor of Literary Arts at Brown University where she teaches advanced poetry. Wright was born and raised in the Ozark Mountains of Arkansas. She has published over a dozen books, including Rising, Falling, Hovering, Like Something Flying Backwards: New and Selected Poems, and a text edition of One Big Self: An Investigation, focused on Louisiana inmates. She has published several book-length poems including Deepstep Come Shining and Just Whistle. She also has composed and published two state literary maps, one for Arkansas, her native state, and one for Rhode Island, her adopted state. Wright is formerly the State Poet of Rhode Island, and with poet Forrest Gander, she edited Lost Roads Publishers for more than 20 years. Wright is winner of the National Book Critics Circle Award for Poetry in March 2011 for her most recent title, One With Others: [a little book of her days], which was also a finalist for the National Book Award and was selected as winner of the Lenore Marshall Prize from the Academy of American Poets. Her honors include awards from the Wallace Foundation and the Foundation for Contemporary Arts as well as the Lannan Literary Award. In 2004 Wright was named a MacArthur Fellow; in 2005 she was given the Robert Creeley Award, and elected to membership in the American Academy of Arts and Sciences. In 2009, Rising, Falling, Hovering won the International Griffin Poetry Prize. 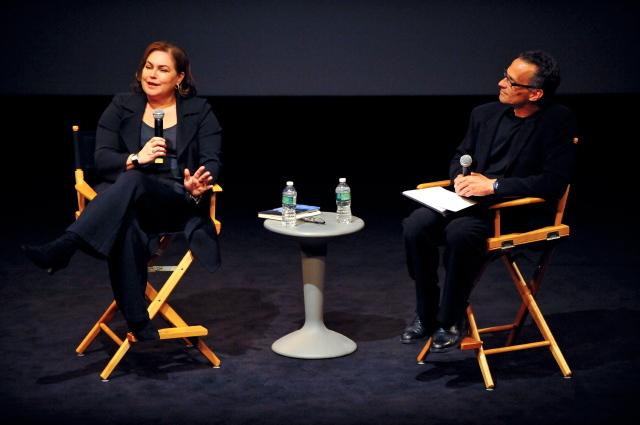 Amy Bloom ’75, the Kim-Frank Family University Writer-in-Residence and director of the Shapiro Creative Writing Center, emphasized that the key merit of the masters program is the opportunity to work with a professional writer. The classes are capped at a dozen participants, all selected by Bloom and Wright based on a submitted cover letter. Bloom stated that the limit is designed to keep the classes intimate and to ensure that all students have the opportunity to work closely with Wright. 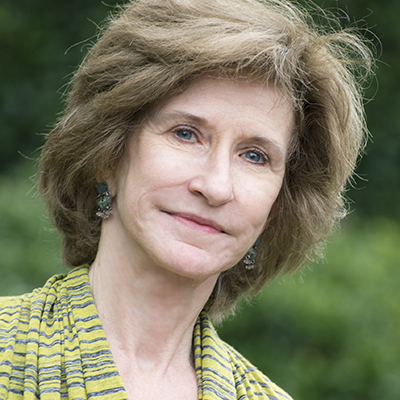 Writing at Wesleyan announces the Spring 2015 Russell House Series on Prose and Poetry. Writer/authors in the Spring 2015 series include Ron Padgett on Feb. 25, Millett Fellow Caryl Phillips on March 4, Sadia Shepard on March 25, Rowan Ricardo Phillips on April 1 and Ruth Ozeki on April 8. All events are free and open to the public. For more information on these talks visit the Writing at Wesleyan website. Support for this series is provided by Writing at Wesleyan, the English Department, the Annie Sonnenblick Fund, the Joan Jakobson Fund, the Jacob Julien Fund, the Millett Writing Fellow Fund, the Center for the Arts, and the Shapiro Creative Writing Center. The 2014/2015 Series organizers include Lisa Cohen, associate professor of English; Elizabeth Willis, the Shapiro-Silverberg Professor of Creative Writing; Amy Bloom, the Kim-Frank Family University Writer-in-Residence; and Anne Greene, director of Writing Programs. 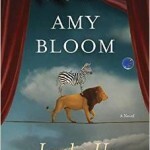 New book by Amy Bloom. 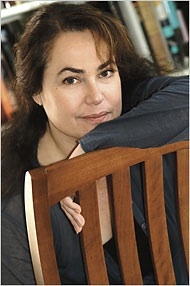 Amy Bloom, the Distinguished University Writer-in-Residence and director of the Shapiro Center for Creative Writing, is the author of a novel, Lucky Us, published in July 2014 by Random House. Disappointed by their families, Iris, a hopeful star and Eva the sidekick, journey through 1940s America in search of fame and fortune. Iris’s ambitions take the pair across the America of Reinvention in a stolen station wagon, from small-town Ohio to an unexpected and sensuous Hollywood, and to the jazz clubs and golden mansions of Long Island. With their friends in high and low places, Iris and Eva stumble and shine though a landscape of big dreams, scandals, betrayals, and war. Lucky Us is a resonant novel about success and failure, good luck and bad, the creation of a family, and the pleasures and inevitable perils of family life, conventional and otherwise. In celebration of her book release, Bloom will be speaking Sept. 2 at the Society Club in London, and Sept. 3 at Shakespeare and Company in Paris. Bloom’s stories have appeared in Best American Short Stories, Prize Stories: The O. Henry Awards, and numerous anthologies here and abroad. She has written for The New Yorker, Thee New York Times Magazine, The Atlantic Monthly, Vogue, Slate and Salon, among many other publications, and has won a National Magazine Award. 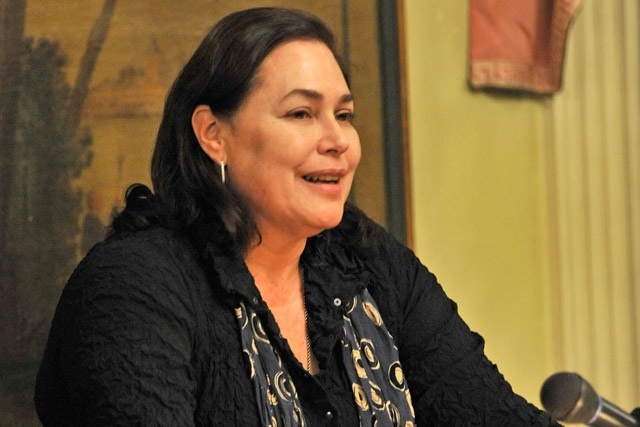 Amy Bloom, the Kim-Frank Family University Writer in Residence, will become the director of the Shapiro Creative Writing Center for two years, beginning July 1. She is author of two novels, four collections of short stories, a non-fiction book, and a children’s book; winner of the National Magazine Award in fiction; and a past nominee for both the National Book Award and the National Book Critics Circle Award. 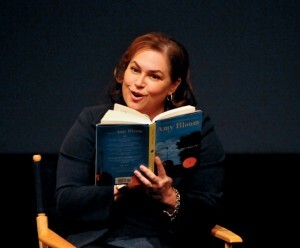 Her most recent novel, Lucky Us, will be released by Random House in early 2014. She received a bachelor of arts from Wesleyan in 1975 and master of social work from Smith College. The Shapiro Creative Writing Center serves as a hub for writing activities and provides a venue for workshops, colloquia, informal discussions, student events and receptions. Its lounge is open to all students enrolled in creative writing courses. At the center, Bloom holds Table Talk events every Thursday during the fall and spring semesters, and Word Game night every Wednesday, open to all students.